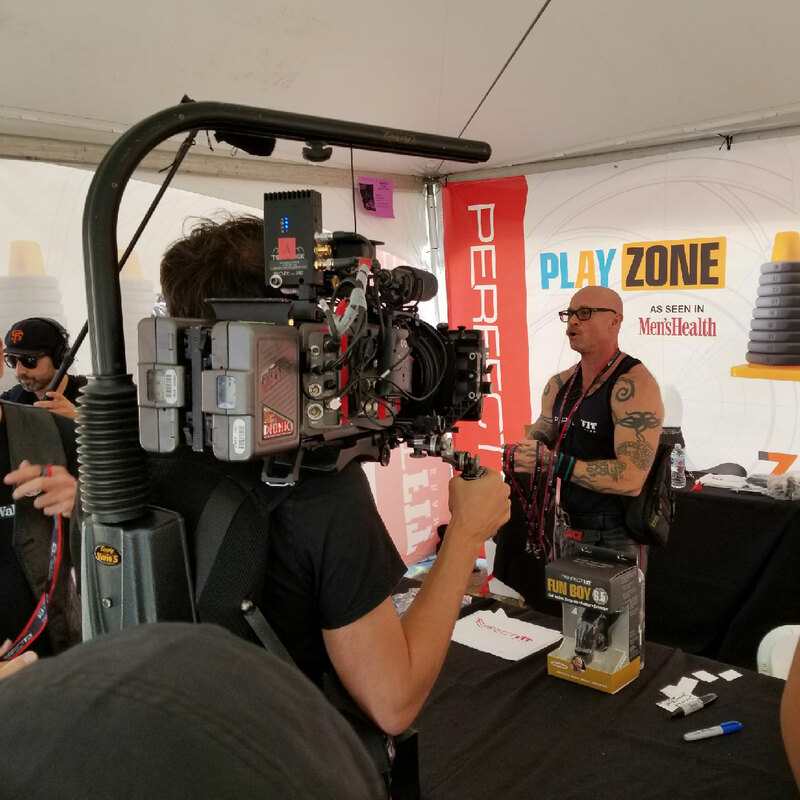 Perfect Fit Brand had the one of the biggest booths of at the Folsom Street Fair. What was going on inside? As Perfect Fit Brand makes products for everyone, what was the mix like at the booth? Mostly gay and trans? The fair attracts a large leather and fetish community, I'd say mostly gay people but the winner of the grand prize was a straight couple, and we had lots of people wanting pictures with Buck! There were lines at the Perfect Fit Brand booth all day long. What was it that people seemed most curious about? Yes, we had a line from before the event opened to the very last 10 minutes when we had to stop letting people in line. Everyone one wanted to spin our gift wheel, it was extremely popular. When you think we gave away over $30,000 in prizes, it makes sense! 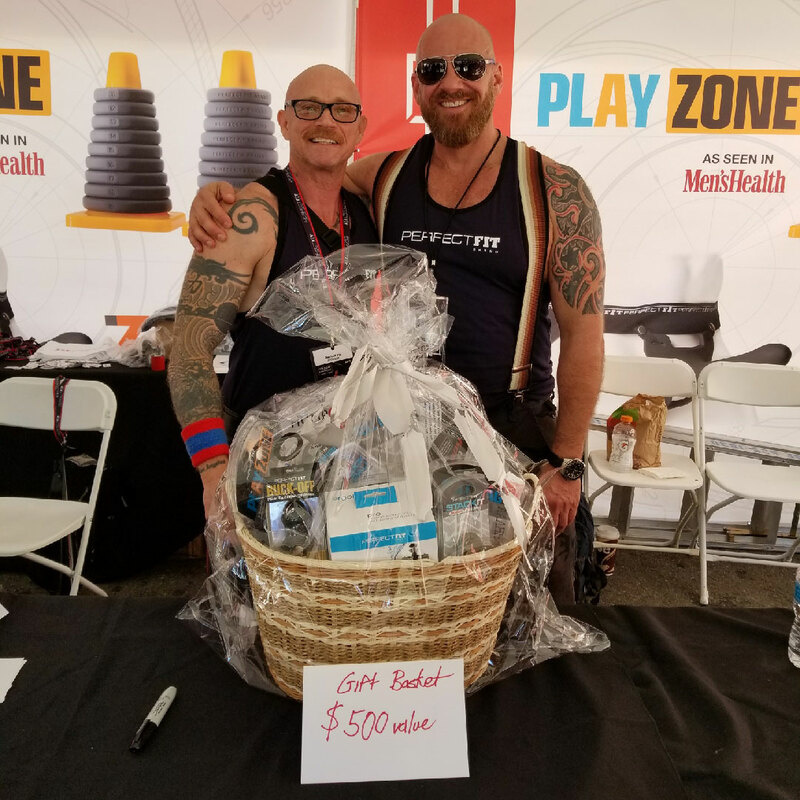 We were thrilled to be the Premiere and Exclusive Toy Sponsor for Folsom Street Events, so this was our opportunity to give back to our community. You and a posse of hot models running working the Fun Boy packer, the newest item from the Buck Angel ® FTM Line of sexual health products Buck designs in collaboration with you and Perfect Fit Brand. You also gave away a Fun Boy every hour. What’s been the reaction to the Fun Boy? The Fun Boy has been a huge hit every where it is shown, people loved seeing the models wear the product, it was a huge crowd draw and people were asking to buy on the spot. In addition to giving a way a Fun Boy packer on the hour, you gave away a jaw-dropping gift basket worth $500. (Everyone loves a big basket!) What was in it? We had a mix everything from our Ergoflo enemas, to our award winning Fat Boy products. Also we had Bull Bags, the Play Zone and other great products in the basket. What was Barber Pete working in the PFB booth? Barber Pete (below) was having a blast managing the spinning of the prize wheel. And people in line had a great time admiring him! Did you feel it was successful? It was a huge success for us. As I mentioned, it was an honor to be part of the event as a sponsor, knowing our contributions were going to help our community directly. As well as being able to give away so many prizes in appreciation of our gay, fetish and transgender customers. How did this year compare to other years? It just keeps getting better, this year we added the hourly giveaways and increased the number of people on the stand. We also implemented better crowd control and monitored the prize wheel so that that we could get participants through the line faster. Other than what a great day it was, we got some press. Vice News came by and interviewed both Buck and myself for a series on gender roles. That was pretty cool! 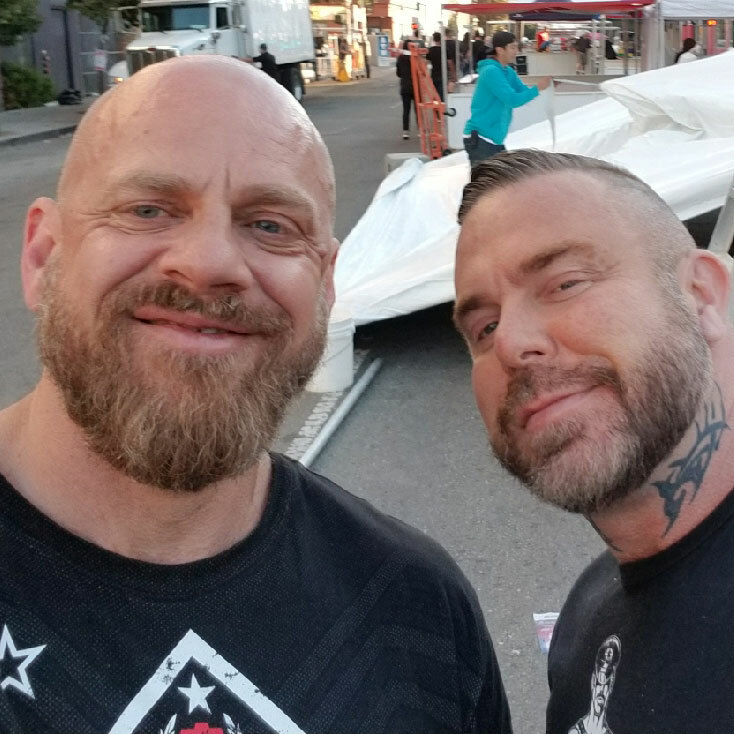 Below, the Perfect Fit Brand Folsom Street Fair gang, from left to right: Dave Champion, Chris, Barber Pete, Buck Angel, Steve Callow, Jeremy, Wellington.